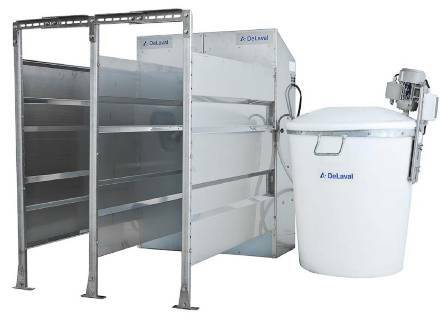 DeLaval calf feeder CF150X is the high capacity, economical answer to an efficient feeding programme. This durable system offers you a high return on your investment by simultaneously handling the feeding of up to 100 calves, utilizing four CF150X calf feeders, controlled by one processor. Effective calf feeding and related management can minimize future herd health problems, lower costs, maximize income and create a stable basis for the growth of your business. The optimal approach is to feed your calves often, with small individually adapted portions. This method allows the calves to properly digest their feed, promotes good growth and limits feed wastage.